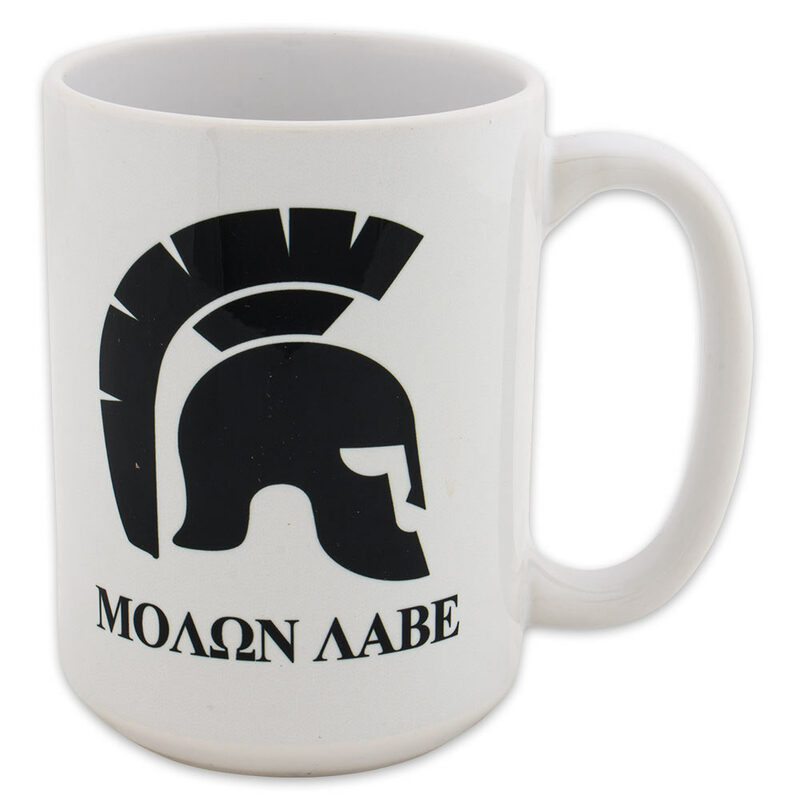 Molon Labe With Spartan Helmet Mug | BUDK.com - Knives & Swords At The Lowest Prices! Get a mug that lets people know what you think and you won’t have to say it to them! There will be no doubt in their minds when you are holding this 15 oz. coffee mug that states, “Come and Take It!" in the original tongue of the Spartan warriors! It features the USMC emblem and letters on a red background. This ceramic mug is durable, dishwasher and microwave safe. It has a comfortable 4-finger handle.